Bethesda Green sponsored a TEDx meet up this past Saturday on “Changing the Way We Eat,” and although the speakers were based in New York, the local viewers took time to introduce themselves and their efforts in local food and to discuss the potential for local food in Montgomery County. 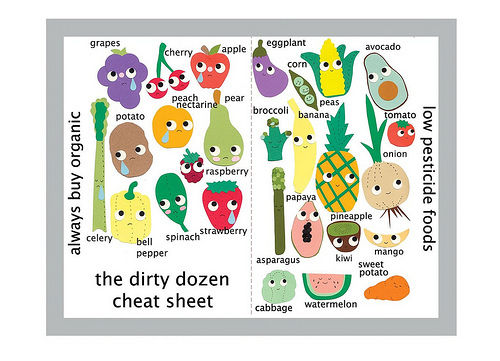 Pocket guide for the pesticide-aware consumer. We can plan for it, you have to live it. Hierarchy: 1. Buy local. 2. Buy organic. 3. Minimize pesticides. How can planning influence climate change numbers? I think there is a particular kind of aesthetic beauty in the simple repetition of forms over large expanses of contrasting landscape. 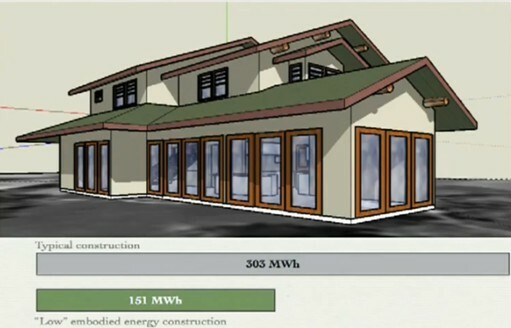 Even more so when those repeated forms provide sustainable energy. 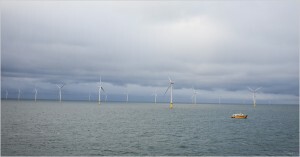 The just-approved off-shore wind farm is one such example, solar “farms” are another. Ever feel like you’re being watched by the Green Police? Have a loved-one who thinks that tossing a newspaper in the trash is the equivalent of clubbing a baby seal? Tired of transparent marketing campaigns for products with dubious environmental benefits? You’re certainly not alone. 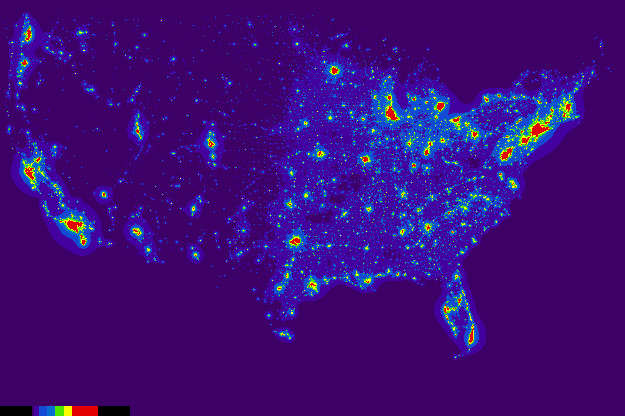 In honor of the upcoming Earth Hour on March 27, we offer a random assortment of efforts to reduce light pollution, conserve energy, and protect migratory birds by minimizing wasted photons. Learn more at the International Dark-Sky Association. Earth Hour’s website, sponsored by WWF, has a clock counting down the seconds until March 27 at 8:30pm when everyone partaking will shut off their lights, especially exterior lights. Check out these awesome examples from last year. A good summary of recent (and not so recent) legislative efforts in Maryland has been provided by Dr. Harold Arlen Williams, director of the Montgomery College Planetarium. In DC, City Wildlife has spearheaded a campaign to help migratory birds. Portland has long been one of the most celebrated cities in terms of planning and sustainability. Peter Calthorpe is one of the original pioneers of transit-oriented development. In this video, Calthorpe does a nice job of succinctly laying out the principles of transit-oriented development, namely walkability and diversity of population and land use. 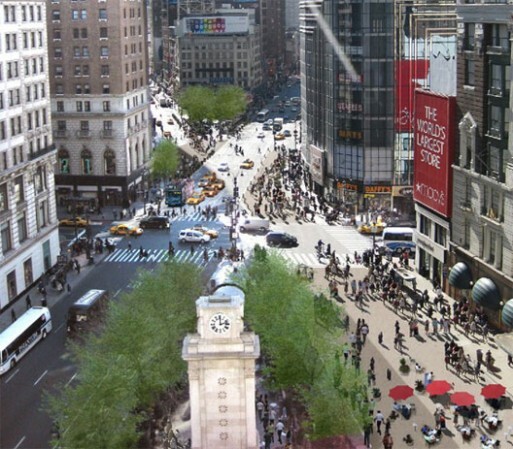 After months of study and deliberation, New York City has decided to make its pedestrian-priority spaces a permanent fixture on sections of Broadway around Times and Herald Squares. The decision to keep the revised street plan, which had been operating under trial review since last summer, came despite vehicle travel times falling short of projected improvements. The plan was originally sold on the basis that it would improve vehicle flow by 17%. It improved 7%. Tacking onto Elza’s post on Silver Spring’s future form, I came across this building a few weeks ago and couldn’t help but think of Fenton Village. 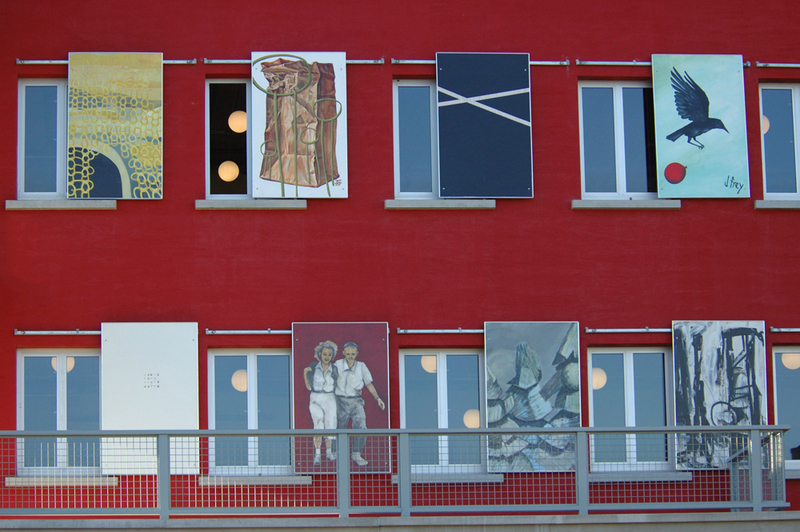 It’s cheerful, gritty, and almost certainly would feel at home in a neighborhood that already boasts an array of colors, from the similarly red Pyramid Atlantic to the tastefully pink Jackie’s Restaurant. In planning, the third place is the social realm separate from home and the workplace. It provides an inclusive forum for dialogue crucial for civic engagement and community building. Schools and Growth, Part Four: Where are all these kids coming from? The contact information you provide may be subject to release under the Maryland Public Information Act. The Planning Department has provided this blog as a vehicle for staff to submit individual posts. Opinions and conclusions in this post are solely those of the author, and neither the Planning Department nor the Planning Board has adopted the opinions or conclusions unless otherwise indicated.